How did Cannabis do in the Midterms? 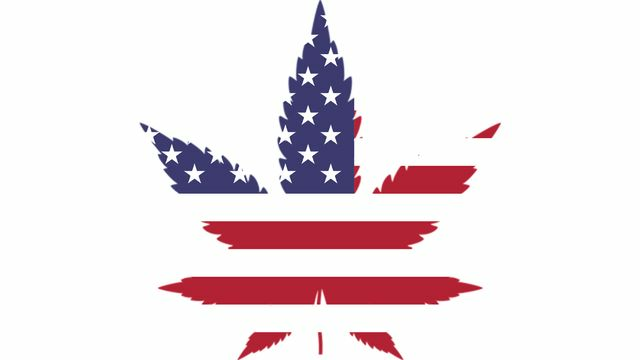 | Articles | Analytical Cannabis How did Cannabis do in the Midterms? How did Cannabis do in the Midterms? Though the issues of healthcare, immigration, and the economy may have been the most instrumental in driving voters to the polls, the midterm elections were also set to have a profound impact on the nature of cannabis legislation in the United States. Cannabis legalization was on the ballot in four states, with voters in Michigan and North Dakota given the option to legalize recreational cannabis use in addition to their preexisting medicinal cannabis laws, and voters in Utah and Missouri being asked to back the introduction of medicinal cannabis programs in their state. Cannabis legislation reform was a key component of many gubernatorial races across the United States, with several anti-cannabis incumbent governors facing challenges from pro-cannabis opposition. With attitudes towards cannabis no longer being the partisan issue it once was, election night saw many historically conservative states voting for pro-cannabis policies and candidates. Pro-cannabis politicians also ascended to high levels of office in traditionally liberal or centrist states, where their tenure could herald in new levels of local cannabis reform. Some form of cannabis reform in Missouri was a certainty, with three separate proposals appearing on the ballot: Amendment 2, Amendment 3, and Proposition C. The measures differed in terms of the way medicinal cannabis would be taxed, and who would benefit from any proceeds of that tax money. Missouri’s electorate overwhelmingly selected Amendment 2 as their preferred proposal, with 65.5% of the 1.5 million voters who answered the cannabis proposal ballot measure voting for Amendment 2. The Amendment will introduce a 4% sales tax on medicinal cannabis products, with the tax money being used to cover the cost of implementing and maintaining the medicinal cannabis program; any additional revenue would be given to the state’s veteran commission to assist in providing healthcare and social services for the state’s veterans. Justin Strekal, the political director of the National Organization for the Reform of Marijuana Laws (Norml), praised the electorate’s decision in a press release. Utah is traditionally a conservative stronghold, both politically and culturally. In the 2016 Presidential Election, the then-Republican nominee, President Donald Trump, won the state by a margin of over 200,000 votes against the Democratic nominee Hillary Clinton. Members of the Church of Jesus Christ of Latter-day Saints, also known as Mormons, also make up a majority of Utah’s adult population. The Church takes a relatively conservative approach to many social issues and actively discourages practices such as consuming intoxicants such as alcohol, tobacco, and even coffee. However, last month the Church and Utah’s lawmakers joined together in a surprising move to back a deal which would legalize some forms of medicinal cannabis in the state. The ballot initiative that faced Utah voters, Proposition 2, would legalize certain medicinal cannabis products for patients with certain qualifying illnesses who receive a recommendation from a physician. Smoking cannabis and using cannabis products in public (except in a medical emergency) will remain prohibited. 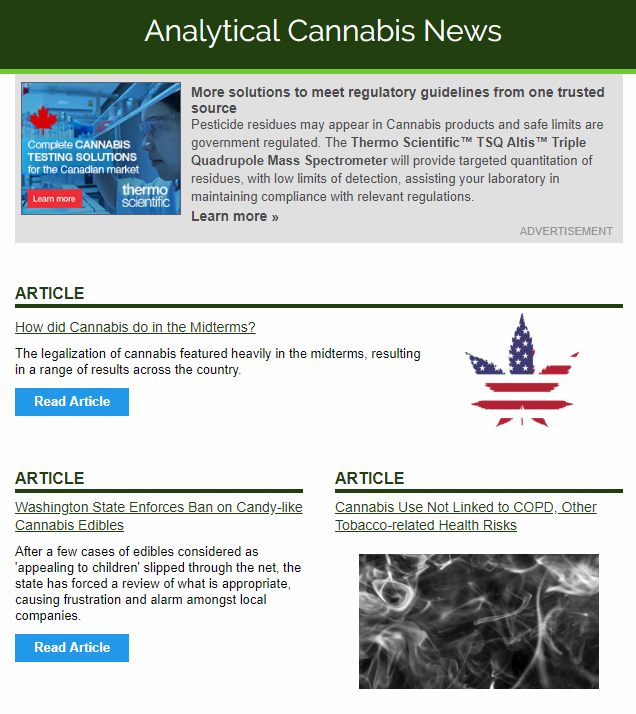 Vaping and the consumption of cannabis-infused edibles will be allowed, with patients able to buy modest amounts of cannabis and cannabis products from government licensed dispensaries. Home cultivation is also prohibited, with the exception of patients living more than 100 miles from a licensed dispensary. The proposition passed with 53% of the vote, and now state legislators can begin to implement plans for the licensed production and distribution of medicinal cannabis products to the patients who need them. Fifty-six percent of the Michigan electorate voted in favor of the ballot measure Proposal 1, making Michigan the 10th state (plus Washington D.C.) to legalize recreational cannabis use, and the first state in the Midwest to do so. Proposal 1, also known as the Michigan Regulation and Taxation of Marihuana Act, will allow people over the age of 21 to possess and cultivate moderate amounts of cannabis for personal use. It also allows state legislators to license commercial production and retail facilities, allowing the state to set up a fully legal recreational cannabis market. The legalization of recreational use is expected to ease the burden on Michigan’s law enforcement officers, who would ordinarily have to process around 22,000 cannabis-related arrests each year. With the passing of Proposal 1, Michigan’s Governor-Elect Gretchen Whitmer has said that securing the expungement of criminal records for those convicted of historical cannabis-related crimes will be a priority for her during her time in state office. Gov.-elect Whitmer defeated Bill Schuette by a margin of 9.5 percentage points, and will take office on January 1. Of the four states with ballot measures concerning cannabis legalization, North Dakota’s voters were the sole electorate to reject the proposed changes. In 2016, 64% of the electorate voted for the introduction of a state medicinal cannabis program which would allow patients suffering from certain conditions access to medical cannabis to control their symptoms. Despite this, a similarly large majority of voters, nearly 60% of the electorate, rejected a proposal in last week’s election that would have extended legalization to recreational cannabis use. This large swing in voter numbers is unlikely to be due to a sudden change in attitudes towards cannabis use in North Dakota. Instead, the majority of criticism directed at the ballot measure questioned how open-ended the proposal was; the legislation contained no maximum limits on the amount of cannabis an individual could possess or grow, and would have instantly been considered one of the most permissive recreational cannabis laws in the country. Robert Wefald, a former state attorney general and the chairman of North Dakotans Against the Legalization of Recreational Marijuana, said that the proposal also lacked sufficient detail explaining how the drug would be regulated. Speaking to local radio station KFGO before the vote, Wefald criticized the measure, saying that it contained “no limits whatsoever” and would lead to “the wild, wild west in North Dakota”. Pro-cannabis advocacy groups remain positive that future cannabis legalization efforts in North Dakota could be successful. Outside of the three passed ballot measures, a number of other results may also have important consequences for cannabis policy in the United State. In Ohio, six localities had measures on the ballot which would result in the decriminalization of cannabis use in their local areas. The five of the six (Dayton, Fremont, Oregon, Norwood and Windham) passed the initiatives, with Garrettsville being the sole place to reject the proposal. These areas now join six other Ohio cities - Toledo, Logan, Roseville, Bellaire, Newark and Athens - in approving local decriminalization initiatives. Additionally, many candidates who ran on pro-cannabis legalization platforms secured positions in the House of Representatives and in state-level governance. Rep. Earl Blumenauer (D-OR), one of Congress’s most vocal supporters of cannabis law reform, easily defended his seat in the midterm election. 29-year-old progressive politician and grassroots activist Alexandria Ocasio-Cortez defeated the incumbent Rep. Joseph Crowley in the Democratic primary, and won her midterm election race by a landslide. Like Rep. Blumenauer, she is a vocal supporter of the federal legalization of cannabis. Prominent anti-cannabis Congressman Pete Sessions, who continually blocked cannabis reform measures, was unseated by Democrat Colin Allred in the race to represent Texas’ 32nd Congressional District. Wins for pro-cannabis candidates in gubernatorial races in Connecticut, Illinois, New Mexico and Minnesota could also have profound effects on each state. All of the states currently have some form of medicinal cannabis legislation on their books, but governors-elect Ned Lamont (D-CT), J.B. Pritzker (D-IL), Michelle Lujan Grisham (D-NM), and Tim Walz (D-MN) won their seats on platforms that included some form of commitment to working to legalize recreational cannabis in their respective states.